Duke Fashions (India) Ltd., a leading fashion & apparel brand of India, Proudly introduces its fresh take on footwear collection this season. 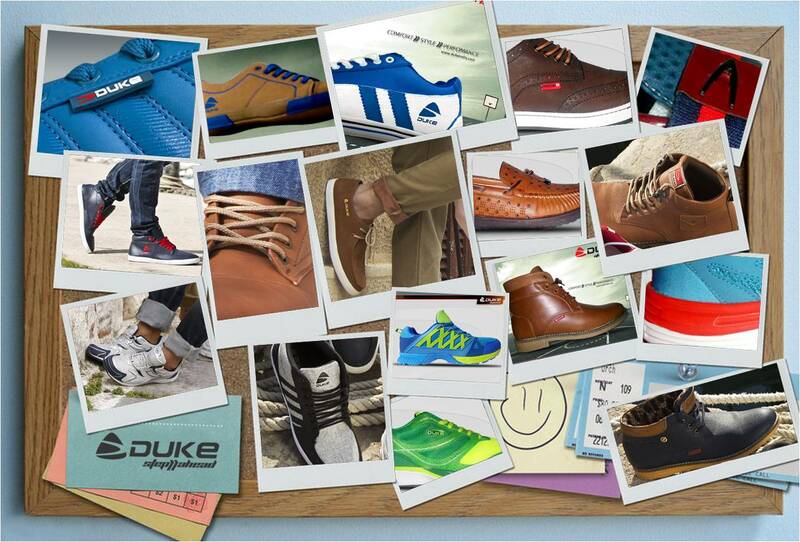 Duke Proudly presenting the premium footwear collection. It’s a time for renewal & to try new things. Step into the world of International styling, pure comfort and brilliant performance. Its latest Step Ahead Footwear collection revolves around everything fun and playful, with original styles paying homage to the season’s cool hues. 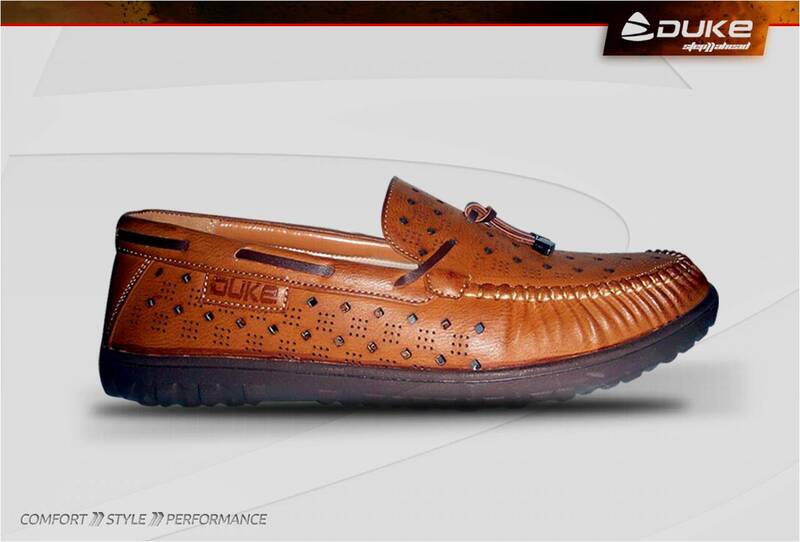 STEP ahead is the First Premium Footwear Collection by DUKE Fashions. Like its competitors, Duke is also aiming to grow sales and market share by participating in the craze for shoes and apparel. To that end, it has launched shoes like Casual Shoes (Life Style), Sports Shoes, Loafers, Joggers, Running Shoes, Smart Casuals, Sneakers, Moccasin, Sandals, Flip Flop etc. These shoes fit perfectly to the new types of pants in summer season. Duke is known for its standardized fits, superior quality, and wide range and ‘fashion-right’ styles in its segment, making it the trusted brand amongst consumers. 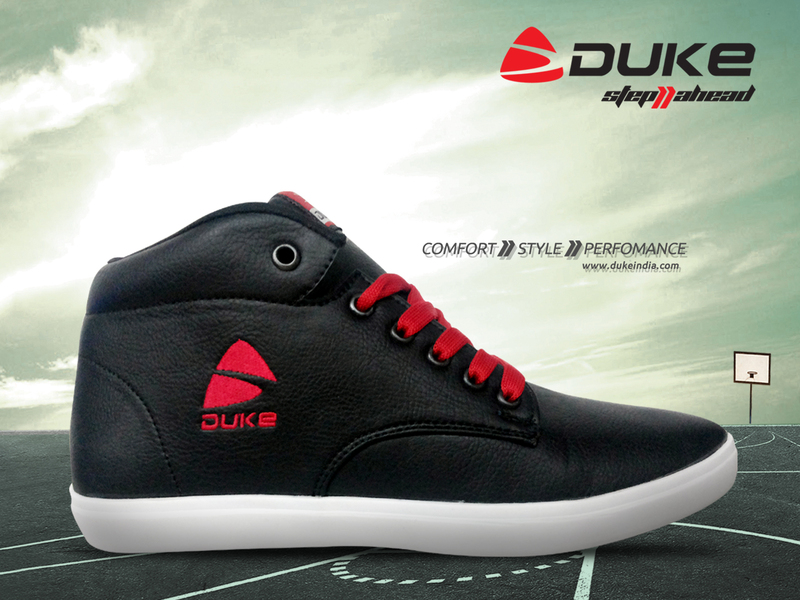 The new footwear collection perfectly epitomizes the DUKE brand in its style, aesthetic and production. Every detail of the shoe is carefully produced with the care of Italian craftsmanship and also the collection has a loving, detailed branding. 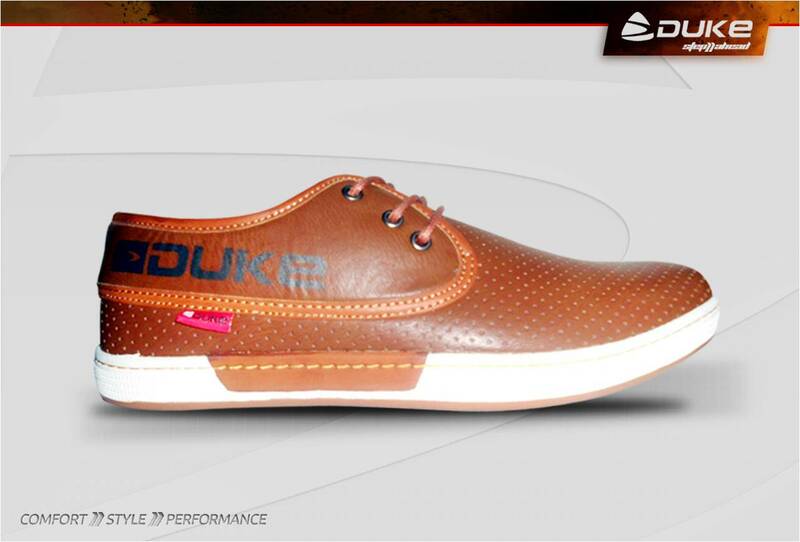 The Footwear range of Duke Feature’s superlight & comfort which is inspired by the defining trends of International fashion which guarantees you fashionable, latest and elegant styles with International designs. 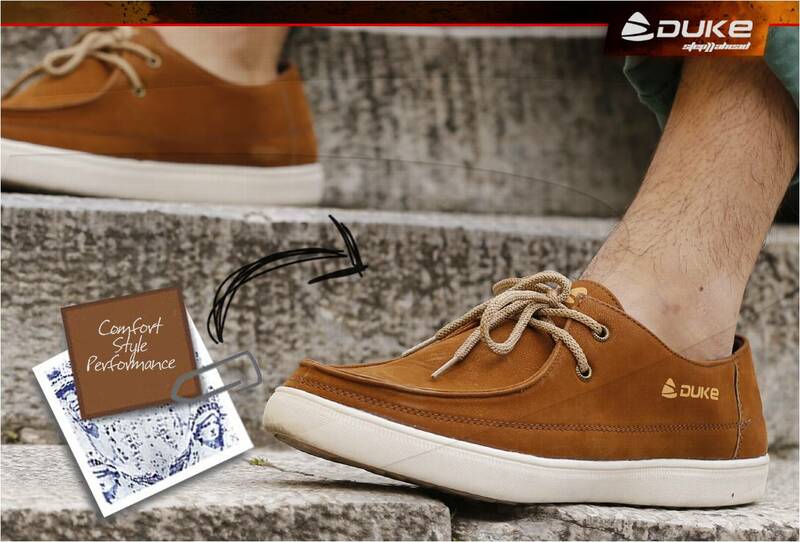 With their casual look, high wearing comfort and classic sole, these shoes can be combined easily with any outfit. All in all, a perfect, Men’s style! 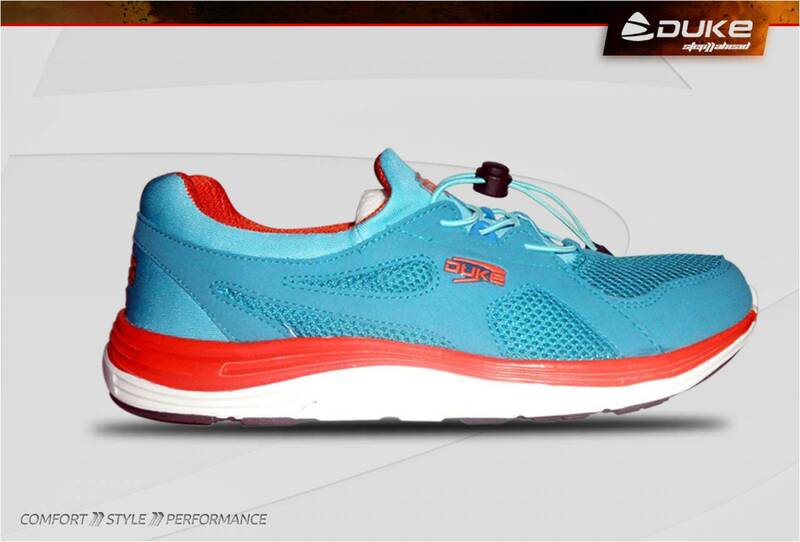 Duke’ Flex and Move feature, along with the brand’s trademark super lightweight, maximum sole cushioning and shock absorption properties, provides consistent comfort and absolute flexibility. The casual collection is conceived for men with “go-anywhere” lifestyles and high fashion sensibilities, as well as those who want stylish footwear that is versatile enough to blend in with their everyday routine. Right on-trend, Duke Sneaker is executed in a premium upper with a contemporary perforated collar. These shoes are easy to wear, as well as stylish. These ankle length shoes are the companions of people with cool style. Made from the exquisite high quality material, the high ankle shoes have an ergonomic design. These shoes go very well with your casual or semi-formal look. A breathable mesh upper and no-sew overlays provide comfort in a responsive running shoe of Duke designed for optimum support. 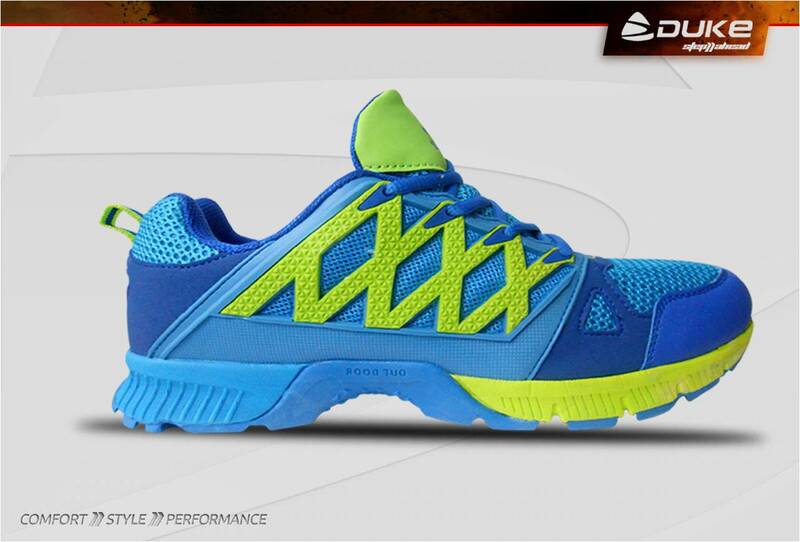 These shoes ensure smooth movement, durable traction for your high-energy workout and offers enhanced foot motion. 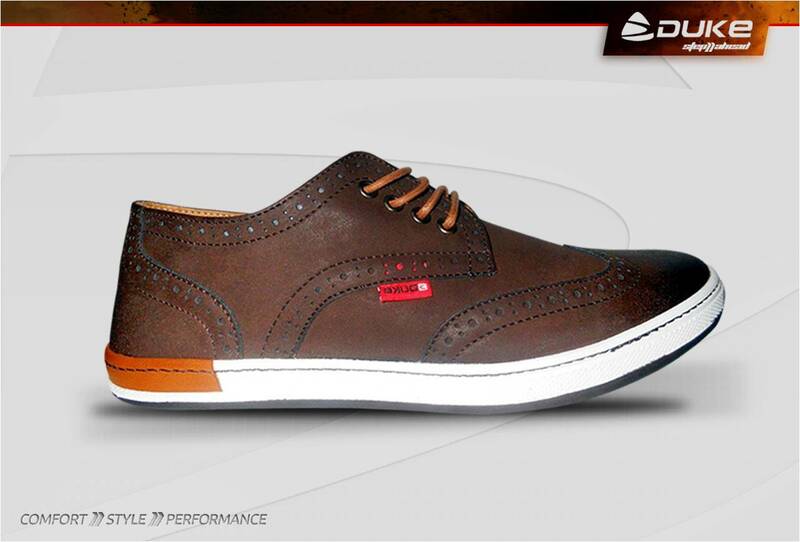 Stylish and comfortable, the Duke footwear makes a great addition to your footwear collection. The rubber sole provides optimum traction on all types of surfaces while the woven polyester lining wraps your feet in comfort. 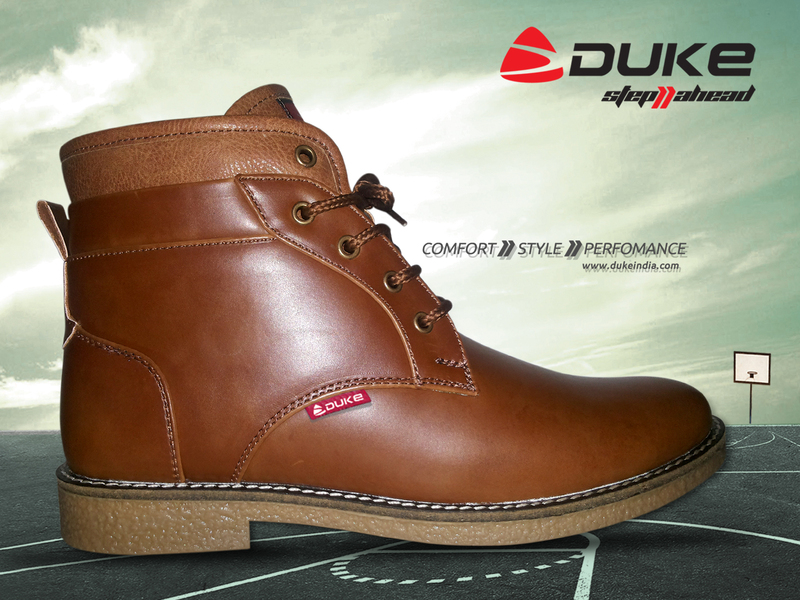 Comfort flex sole, Duke Footwear are made by skilled craftsmen with latest techniques. They use exclusively precious, natural, an allergenic and superior quality materials. Any variations of shade or color presented on the footwear are due to natural hide and to the type of work, therefore they are to be considered like merits and not defects. The global apparel and footwear brand offers stylish shoes and sandals that are sturdy, durable and aesthetically designed and built with intuitive design principals. The overwhelming response that the company has received for its new shoes collection is because of its luxury look, durability and contemporary & elegant styling. 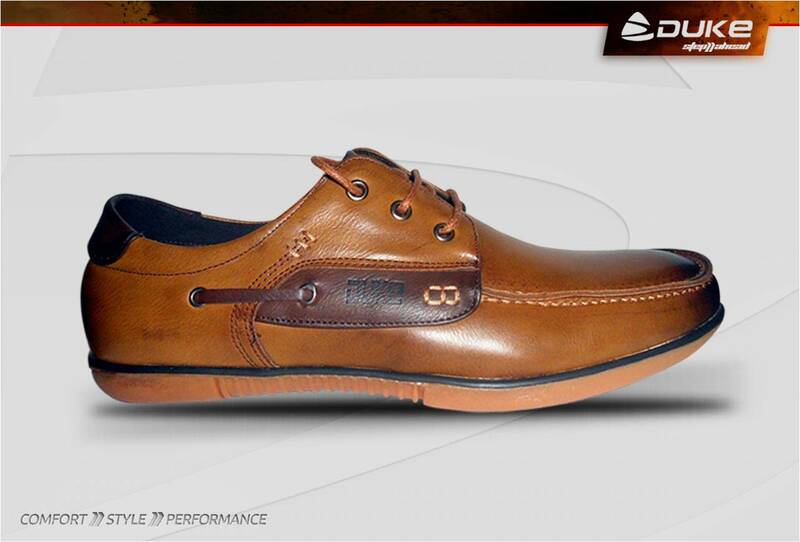 With a comfortable fit, these shoes provide a fashion-forward look with built-in ease of movement. Versatile, lightweight and comfortable, these shoes work well everywhere from the streets to the beach. Duke aims to stand out from the rest of the brands in their market by maintaining the highest possible quality standards in their entire product category. Duke collection is exactly what you need to wear when in doubt. It involved with a unique and creative designing process, our collection revolves around several interesting concepts and promises to offer a global fashion statement and can be worn either to work, casually and in any sporting activity. We work to develop quality that challenge industry standards in sustainability, performance and feel. The way we do business is a way of redefining what business can mean and the effect it can have. The new collection of footwear is another step towards strengthening the brands association with the environment. These are creatively crafted in different sizes and the whole collection is a value for money option and always makes a style statement. Special specialized finishing techniques have resulted into marvelous product parity as the entire range is specially designed and crafted by team of experts. The new range is available at selected Duke Stores and are priced between Rs.375/- to Rs 2599/- which is cool on the pocket. 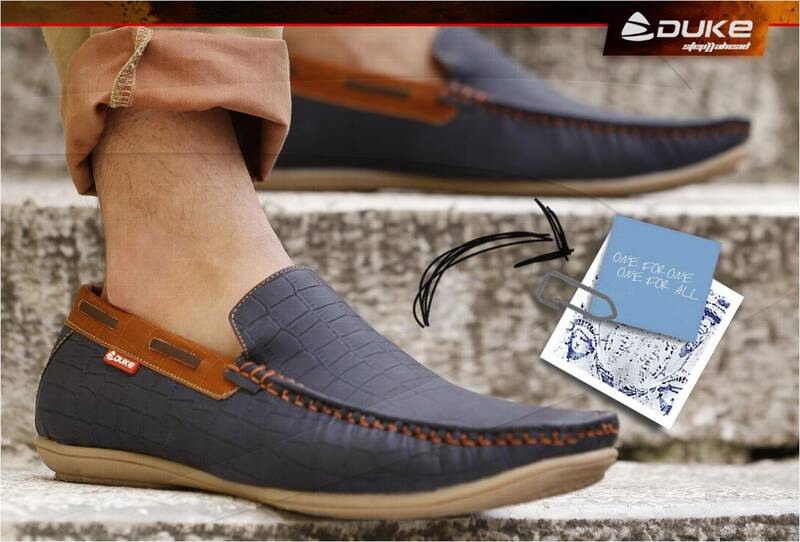 Also, the new footwear Collection is available online, on all major online shopping portals like Myntra.com, Snapdeal.com, Jabong.com, Flipkart.com, Fashionara.com, Amazon.in, http://www.dukeindia.com and returnfavor.com. No matter where you live in the world, you can update your wardrobe for the upcoming season with Duke’s collection. Duke has an unbeatable marketing network comprising of over 4000 multi brand outlets and 0ver 360 exclusive stores across major cities in India. Moreover the products are also exclusively placed at big chain stores like Central, Reliance Trends, Reliance Market, Arvind Retail, Easy day, Metro, Best price, Total Superstore, Aditya Birla Retail, Hyper city, Brand Factory, Spencers. Etc and doing online business on Myntra.com, Snapdeal.com, Jabong.com, Flipkart.com, Fashionara.com, Amazon.in, returnfavor.com, http://www.dukeindia.com. The success of the Exclusive Showrooms is driving the Company to new heights. Selfie Lele… This Independence day let be patriotic! Duke #SelfieWithTiranga Contest is open till 16th August 2015. #Duke #SelfieWithTiranga Contest is only for Facebook and twitter users. 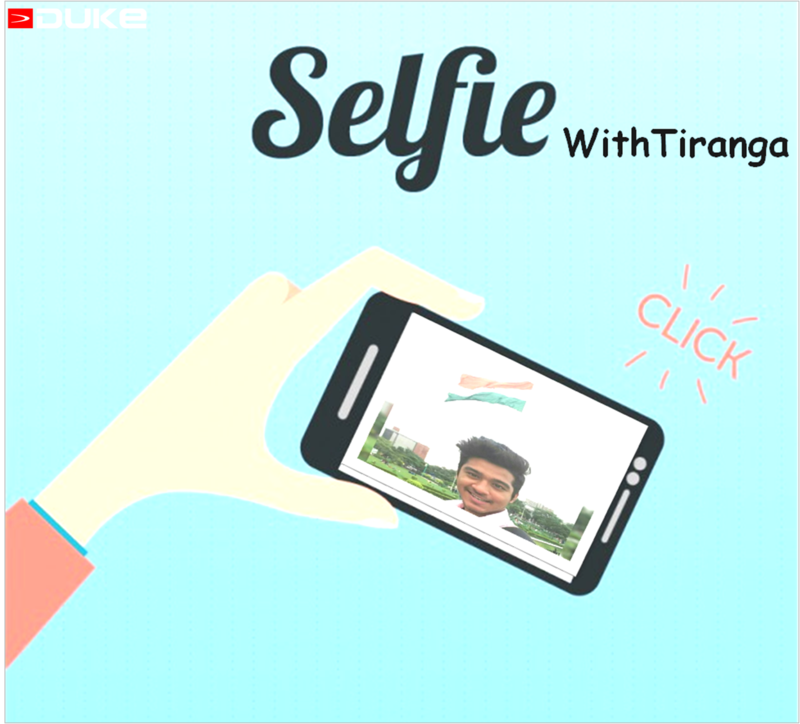 For this Contest participants are required to Post their Selfie with Tiranga and they Can Win assured gifts from Duke. While posting add hashtag #SelfieWithTiranga #IndipendenceDayWithDuke. Picture with highest like will get free Gifts. 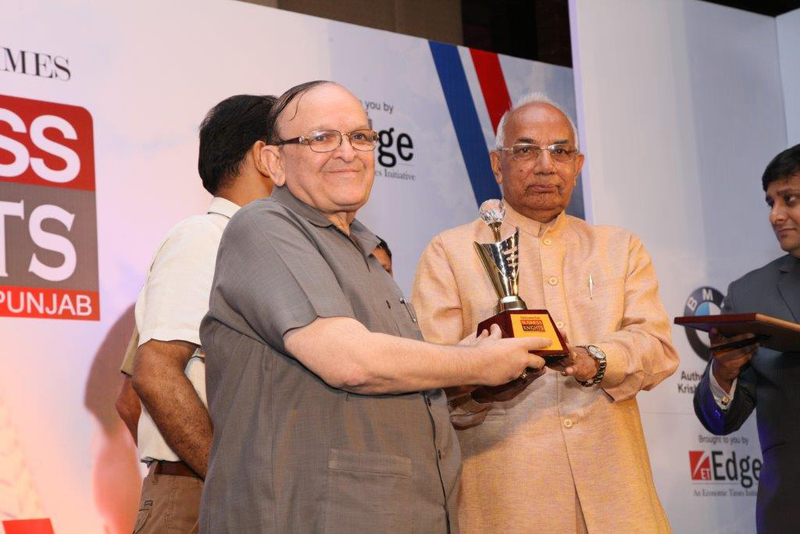 Contest is open till 16th August 2015. To claim your prizes please direct message your address to us on facebook and twitter. 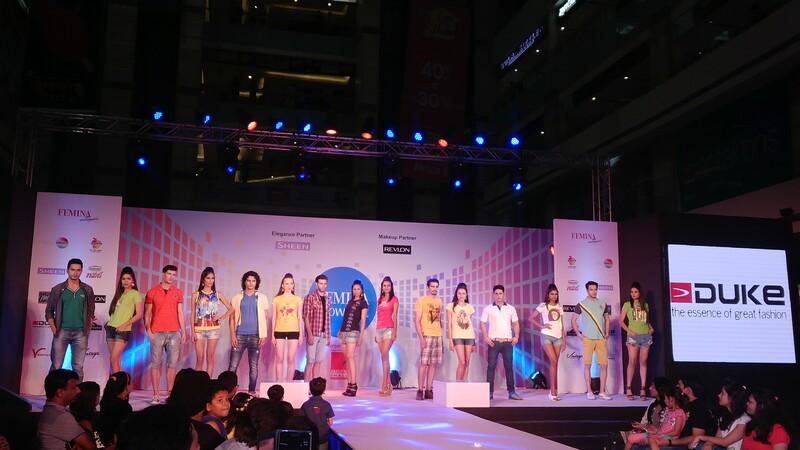 Duke as a style partner in FEMINA SHOWCASE at the Ambience Mall, Gurgaon. The event was filled with live fashion shows, dance performances, celebrity singer, live workshops etc. The event was witnessed by more than 8 thousand people came to the mall that evening. Motive of this Femina showcase was not only what the designers were trying to say through their trendy and designer collection, but to also visually deconstruct each outfit and try to appreciate the detail and craftsmanship of every single piece. DUKE’s latest summer collection’15 features brand new styles designed to be fun and useful, involved with a unique and creative designing. Our new collection of T-shirts, Shirts, Jeans, Lounge wear, Shorts and ladies Tops will take your breath away with its charm, style and glowing colors! 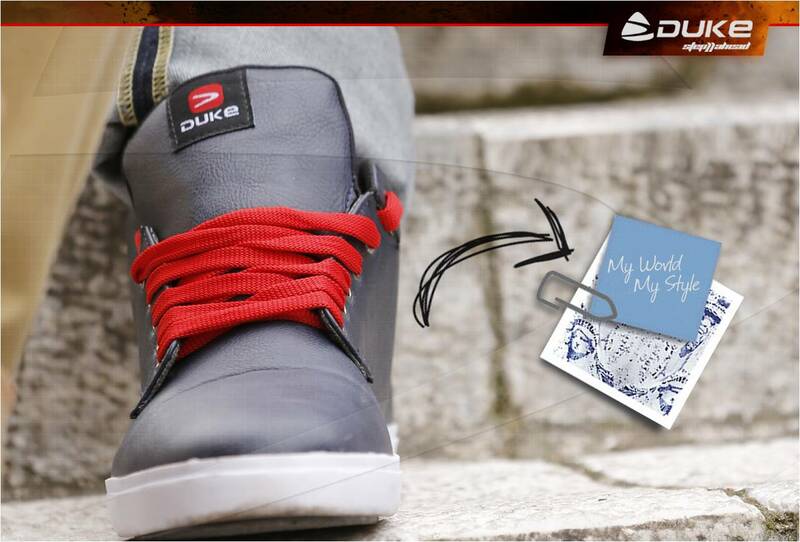 Duke included everything in its summer collection that one needs in the summer to look stylish and comfortable. Duke aims to stand out from the rest of the brands in their market by maintaining the highest possible quality standards and designs in all of their clothing. Our collection focuses on confident layering combinations of garments, colours and textures. In this show, Duke presented its latest summer collection 2015, which allures a fresh air of sophistication and an expression of pure aesthetic pleasure. In the event, there were various ramp walks done by leading male and female fashion models associated with femina group of magazines. “Ms. Aditi Arya”, Femina Miss India-World 2015 and “Ms. Vartika Singh”, Femina Miss india – Grand 2015, were showstoppers in the fashion show. There were above 40 designers who enjoyed and attracted towards the collection of garments which were showed by well known models. Audio Visual of “Duke Summer collection’15” was appreciated and very much liked by wide range of contemporary designers and audience as well, in Femina Fashion Show. Duke also provided a gift hamper to the lucky winner of a contest during the show. Duke has established a impressive collection of various styles in Shirts & Trousers in its summer’15 collection. Duke Shirts & Trousers Collection 2015 offer relaxed office wear and weekend casual wear. Effortless, chic, suave dressing evokes a seductive prowess and creates a look of style and relaxed sophistication and luxury. The collection includes a complete array of fine-crafted washed cotton shirts and formal trousers. Involved with a unique and creative design process, Duke Shirts & Trousers revolve around several interesting concepts and promises to offer a global fashion statement and can be worn either to work or casually. Duke is known for its standardized fits, superior quality, wide range and ‘fashion-right’ styles in its segment, making it the trusted brand amongst consumers. The range caters to the needs of young men by offering a range of clothing for daily office wear which can double up as smart casuals for an evening out after. This range showcases bright and effected colors in formal Shirts which have snug fits & tailored fit comfort, fine detailed garment and these shirts provide the comfort and convenience of cotton, and yet are easy to maintain. On the other hand Trousers have clean look, narrow fit & hidden detail inside waistband. 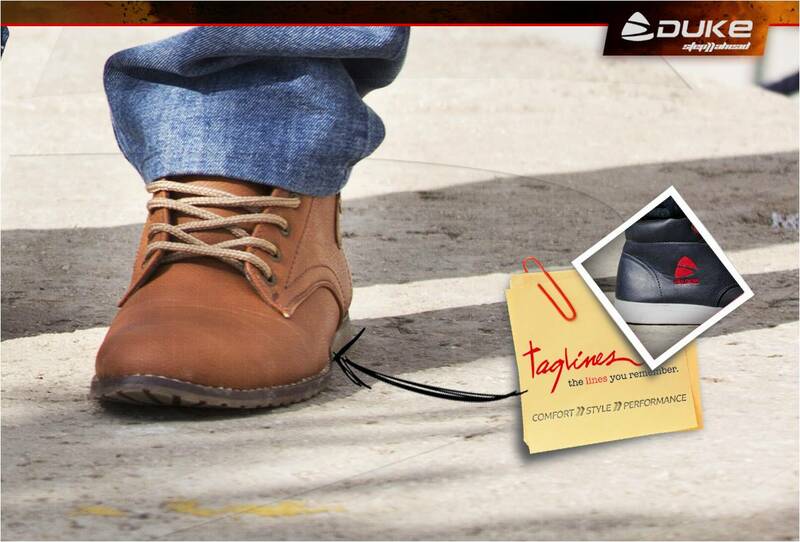 Apart from these, Duke Denims’ trends are all about smart and fashionable dressing. Combination of durability and versatility are key elements of our new denim collection. The Duke Shirts, trousers & Denims collection evokes the freshness, which young office goers can wear to their workplace. The price range of “Shirts, Trousers & Denims collection” starts from Rs.649/- onward which is cool on the pocket. The Shirts & Trousers are available on all Duke exclusive showrooms and leading multi brand outlets. These are creatively crafted in different sizes and the whole collection is a value for money option and always makes a style statement. Special specialized finishing techniques has resulted into marvelous product parity as the entire range is specially designed and crafted by team of experts considering the Indian climatic conditions. Sometimes it takes just one step forward for a new beginning. 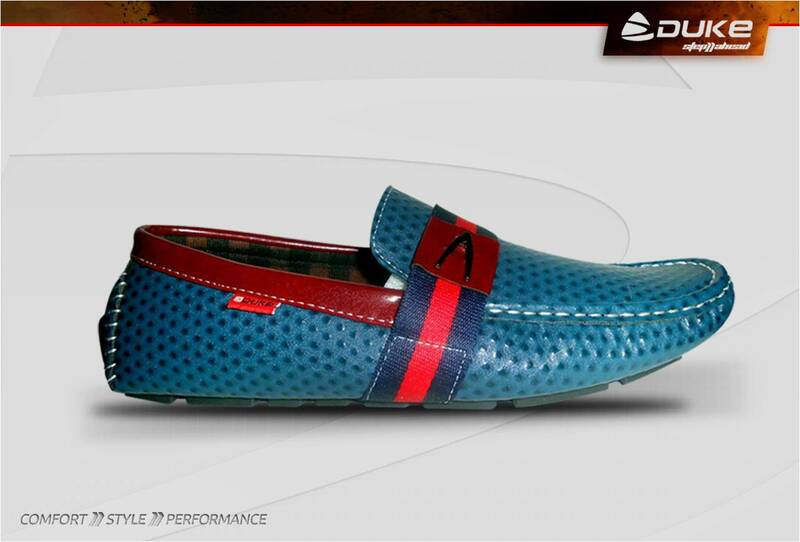 Proudly presenting the newest footwear collection by DUKE. Step into the world of International styling, pure comfort and brilliant performance. 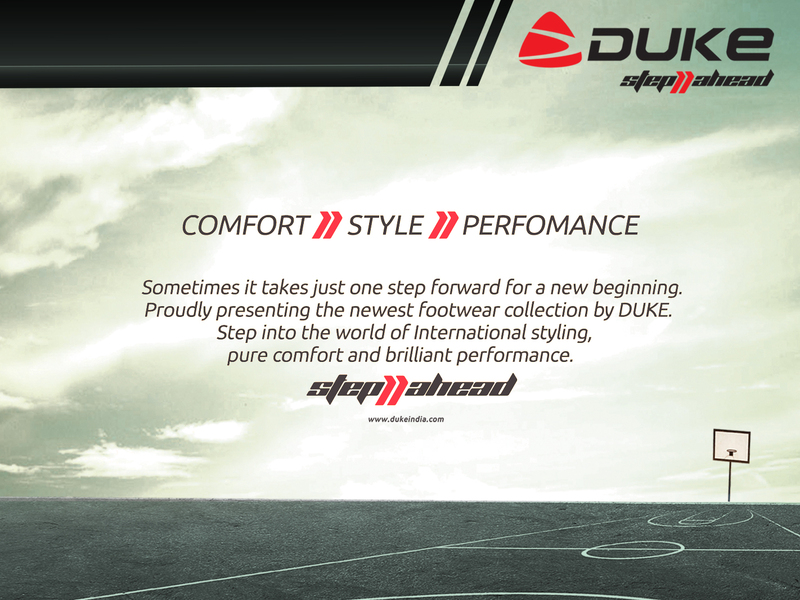 DUKE a leading fashion & apparel brand of India Proudly introduces the STEP AHEAD, a premium lifestyle footwear collection. 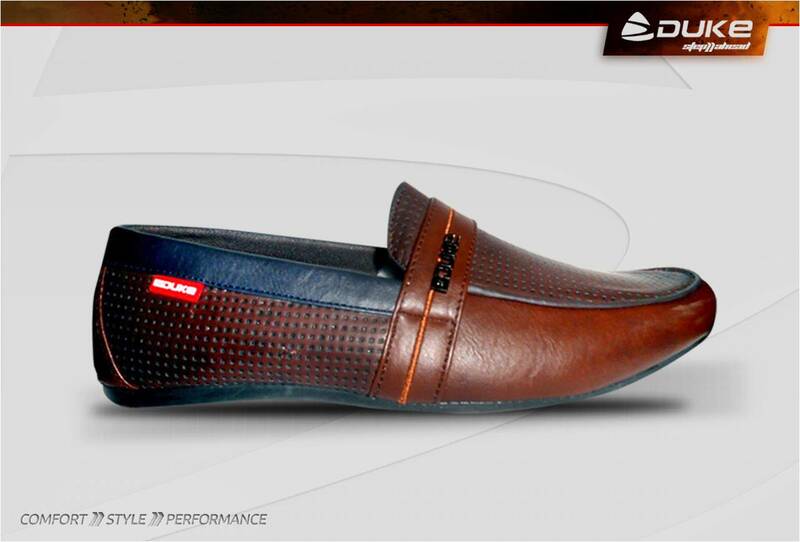 Duke Step Ahead footwear collection is specially designed and crafted for utmost comfort style and durability. 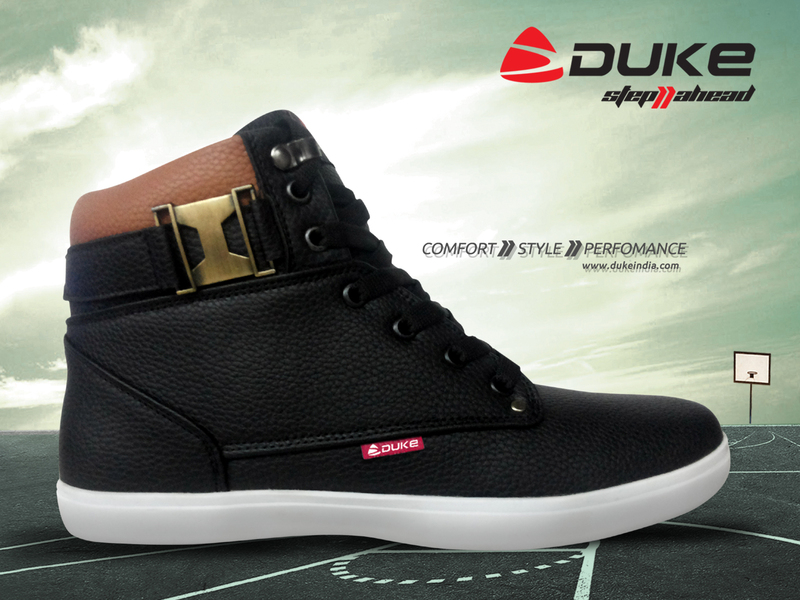 STEP ahead is the First Premium Footwear Collection by DUKE Fashions. 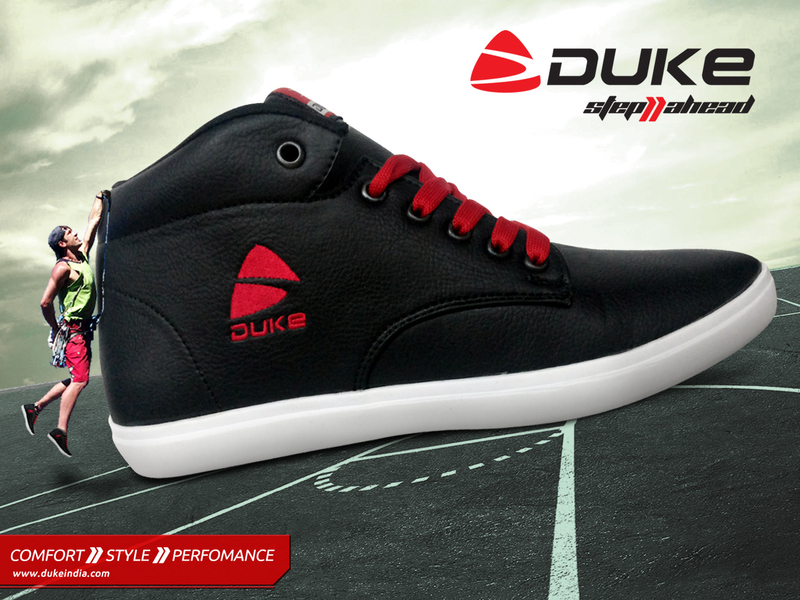 The new footwear collection perfectly epitomizes the DUKE brand in its style, aesthetic and production. Every detail of the shoe is carefully produced with the care of Italian craftsmanship. 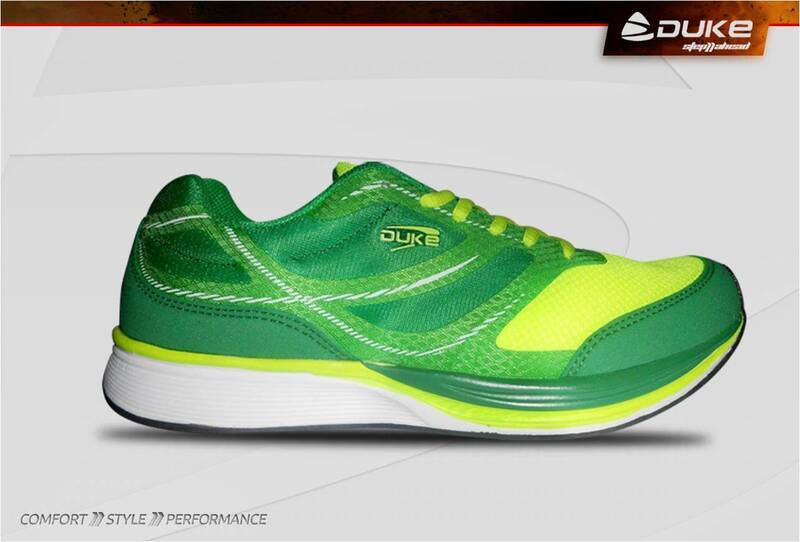 DUKE today announced plans to expand its product range by entering into footwear segments. The expansion will create a centralized, multi-product engine for wholesale and retail distribution, supporting DUKE’s long-term business growth in INDIA. 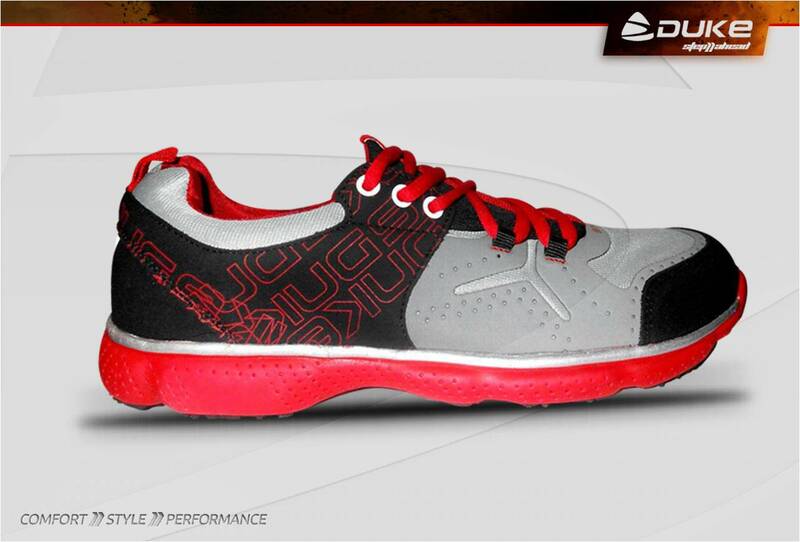 The Footwear range of DUKE Feature’s variety of Sports, Lifestyle, casual and joggers, Flip flops, Sandals and Slippers. Currently our collection is available on only at Flipkart.com / Myntra.com/ Jabong.com/ amazon.com/ Snapdeal.com and fashionara.com, but soon complete collection will be available on dukeindia.com and our selected exclusive stores. 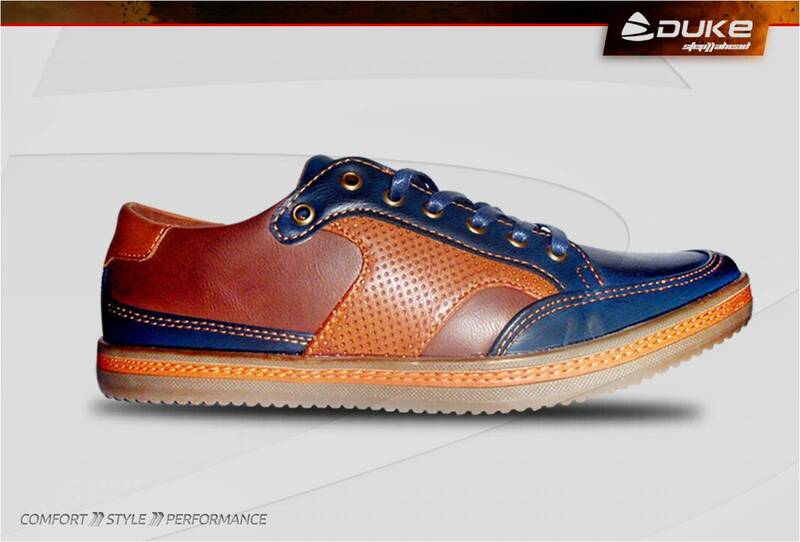 For footwear business queries pls contact Mr. Gaganjain@dukeindia.com / Neeraj@dukeindia.com or call @ 01616604041/ 9872223637 / 9888529700.